Open Dental's Mobile Web is an eService that allows you to connect to Open Dental any time, anywhere using a supported internet browser and your mobile device. There are additional per month/per location fees and you must be on support with a unique registration key. See Fees for Software, Support, and Services. View your appointment schedule by operatory and see appointment details. 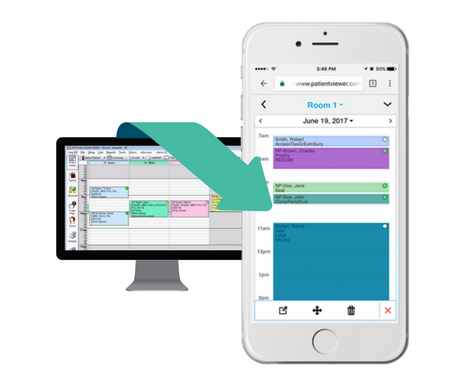 Create, edit, move, or delete appointments. Set appointment and confirmation status, assign appointment type, add appointment notes. Access patient contact information, appointments, allergies, and prescriptions. Call or email patients from the app by pressing the phone number or email address.